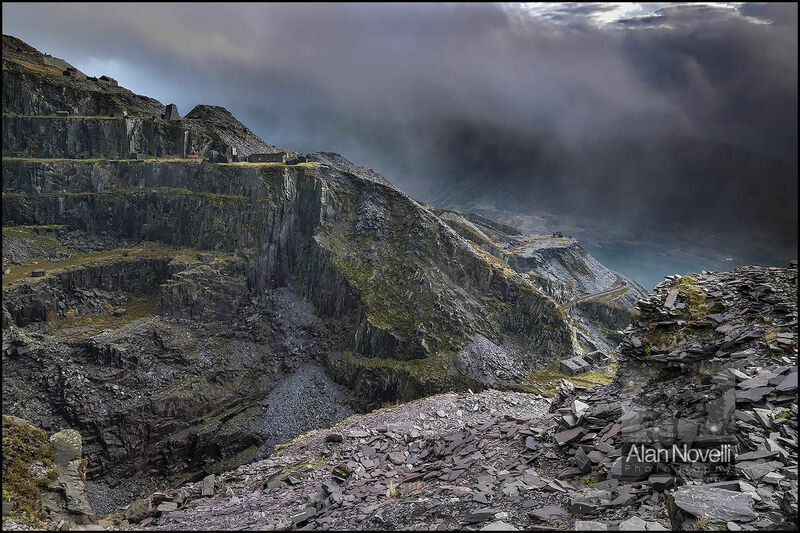 A moody image of the abandoned Dinorwig slate mine high above the Llanberis Pass. This is not a place to shoot when skies are blue... however when the weather closes in, there are few finer places in Snowdonia to capture some atmospheric images. Gaining a high vantage point here is crucial and with so many compositional elements to play with you can come away with a truly unique image of this austere location.